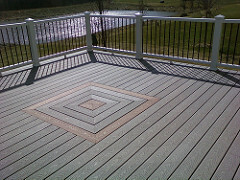 A deck is a great addition to any home. The area makes a great hangout spot and can even add value to your property. Putting one in, however, can be a daunting task. Up until the 1990s, many people’s decks were primarily composed of wood. While wood has been used for a long time, a lot of issues like mold, cracking, and scratching arise with this material.